Barbara Rowen has become the 46th member of our exclusive 25 year club. Barbara originally joined the Company in 1964 as an operative, she left the Company in 1972 to have a family and returned again in 1989 just after the Company moved into Ebor Mills. Barbara has worked in various departments over the years and now is a key member of the despatch department making up special consignments for delivery all over the world. 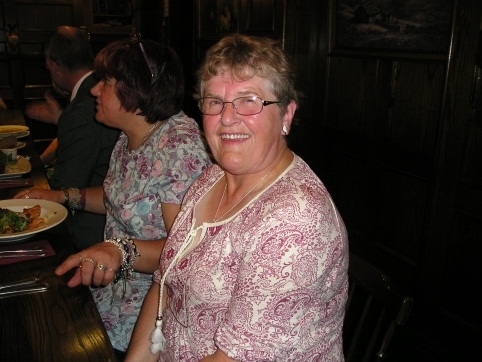 The 25 year club celebrated the event with a dinner at The Grouse Inn, Oldfield, Oakworth. A good time was had by all the 24 guests many reminiscing on stories old and new.